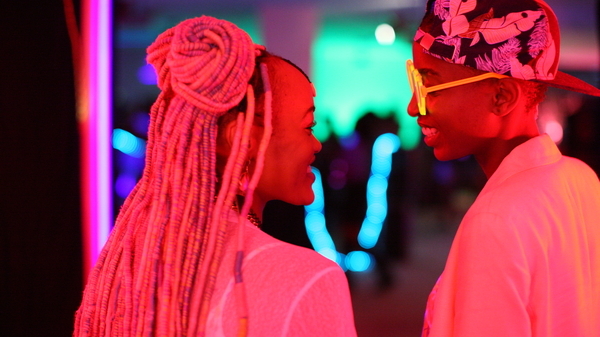 Romantic sparks fly between the daughters of two opposing politicians in Wanuri Kahiu’s neon-bright story of forbidden love. 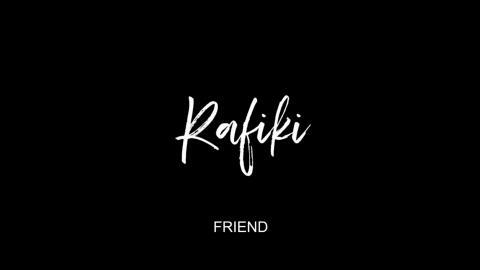 The first Kenyan film to screen at Cannes, Rafiki follows the story of two teenage girls, Kena and Ziki, whose friendship blossoms into romance. Street-smart tomboy Kena and rainbow-haired free spirit Ziki both dream of a life beyond the stifling confines of their conservative Nairobi neighbourhood. Torn between the romantic desire to follow their hearts and the pragmatic need to follow their heads, the star-crossed lovers find themselves forced to make an impossible choice between openness and secrecy, happiness and safety. Briefly banned in Kenya for its 'intent to promote lesbianism’, it demonstrates great courage in telling queer stories. This trailblazing film signals a new African cinema that is youthful and engaged with pop culture - and is a vital burst of energy and hope. Join us for a discussion after the screening on Fri 19 April with Billy Kahora, Kenyan author, journalist, and screenwriter (Nairobi Half Life, Soul Boy), and Linda Devo, Queer Vision, Kiki Bristol co-founder and DJ, chaired by Yaz Brien, a community organiser, writer and broadcaster on Ujima Radio.